Learn how to roll a blunt. Rolling a blunt is easy. Learning how to roll a blunt takes time, multiple tries, and most of all patience. When watching an experienced pot smoker roll a blunt it may seem pretty easy, but really there is more to it than just what the eye can see. Learning how to roll a blunt takes a special touch that is not easily described. It is a learned skill acquired through trial and error, and it may come with a small dose of frustration. Luckily for you we are here to lay it out as clear and as simple as possible. 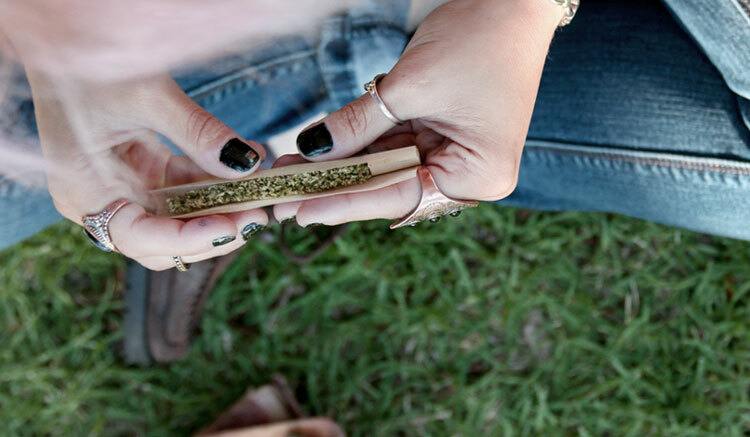 Follow these blunt rolling tips and steps and you should soon be rollin them like a pro. 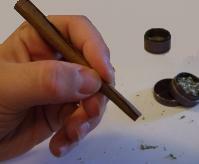 A blunt in the marijuana community refers to a marijuana cigar. 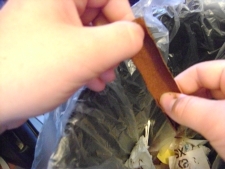 A blunt wrap is made out of a tobacco pulp outer layer that comes filled with tobacco, is cut open, and is resealed with marijuana for your enjoyment. How to roll a blunt. end to the other. This is done with a pinch and pull technique using your thumbs and index fingers, or a knife (optional). Pinch down with your thumbs and and pull apart making your first crack. Be careful not to mess up. You want a straight edge down your marijuana cigar, so make your first crack straight! 2. 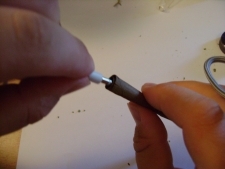 Continue to work your way down the blunt with the same pinch and pull technique, and remember to make each crack a straight shot to the bottom. If it goes too far to either side it may be difficult to seal and you may need to buy a new blunt wrap. 3. Once you have made your crack all the way through, find yourself a trash can and with one of your small fingers remove the tobacco in one clean motion. If the leaves of your marijuana cigar start to separate try to gently lick between the leaves and pinch them back together. 4. If you feel that your blunt is too dry to handle you may need to moisten it by lightly licking along the seraded edges. 5. This is the hard part of rolling a blunt, so try to keep your cool. 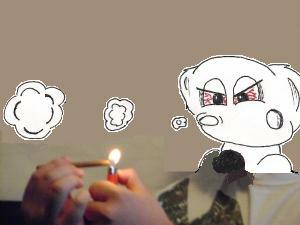 Start at either end of the blunt and work to the opposite end. Start rolling a blunt by gently rolling the buds up and down in the wrap, while piching them into place with the thumb side edge with the goal of forming it into the cigar’s original shape. Now tuck the thumb side edge under, and carefully pull the backside flap over with your index fingers. 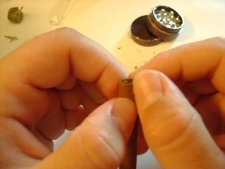 You must try to roll a blunt fairly tight to minimize air pockets. If you roll it too tight then it will stop burning in the session. Do this by keeping firm thumb pressure on the flap being tucked under, and gently pull the opposite flap over tightly with your index fingers. Work to the opposite end licking the already rolled part down. You may have to keep licking it down as you go. Your marijuana cigar should now be taking a form similar to its original shape. 6. Once you have rolled and licked the entire opposite edge down it is now time to collect the weed flakes lost, and stuff them back small poking tool to lodge them into place. In this case, we have used the end of a headphone cord. If it is a little moist let it air dry. Patience, no need to speed dry it with a lighter. Now start smoking a blunt and feel the marijuana effect. Now, pinch the end that you want to smoke from and light. You have just learned how to roll a blunt with 7 basic blunt rolling tips.